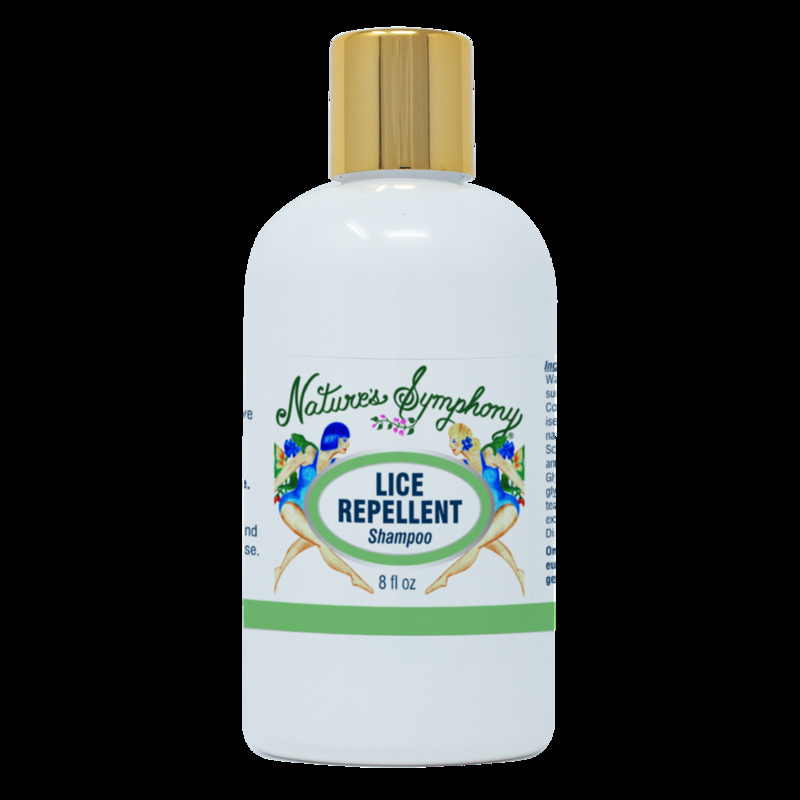 Safe and effective treament to help repel lice infestion. Organic/wild essential oils in our all natural shampoo has been very favorably received with very strong positive feedback on its effectivity. We have many school nurses recommend this blend to parents of children affected. The green, fresh- scented oils are gentle enough to be used every day. In addition, we receive very favorable response from pet owners who use it to protect their pets from pests. Ingredients: Our natural shampoo with pure essential oil blend of eucalyptus - lavender - rosemary - geranium and lemon from wild or organically grown plants.